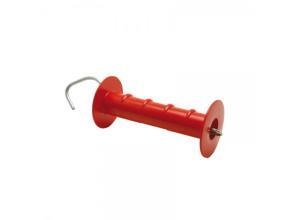 Plastic, spring tensioned handle for easy access to gateways. The electric fence line is joined to the gate handle and the handle is attached using the P28 gate handle anchor (available seperately). The handle anchor is screwed into a wooden post. Also available in a box of 25.